Whether you have completely migrated to Microsoft Office 365, or have a hybrid exchange and Office 365 deployment, your business objectives remain the same. You must remain in control of your data and be able to backup and recover Microsoft Office 365 items at all times. 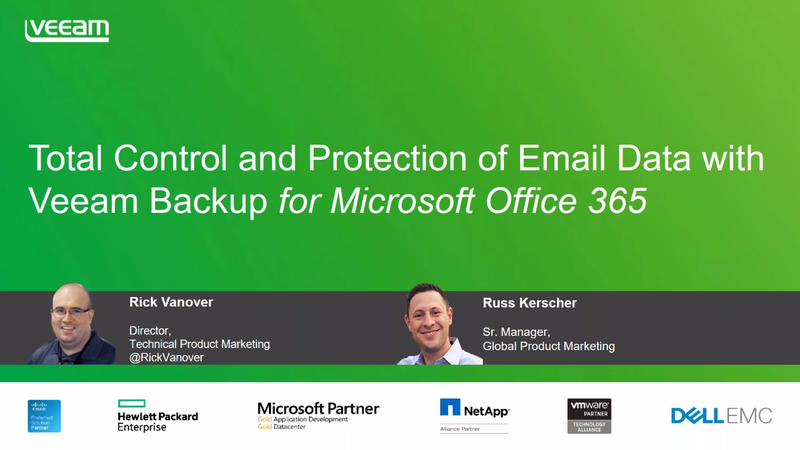 Veeam® Backup for Microsoft Office 365 enables you to mitigate the risk of losing access to Office 365 email data and ensure Availability for users.